This two part nationwide contest begins on social media and features female athletes from around the world in a grassroots INSTAGRAM competition. The contest highlights hundreds of athletes and their virtual tryouts for Lipstick ‘N Layups 2019! 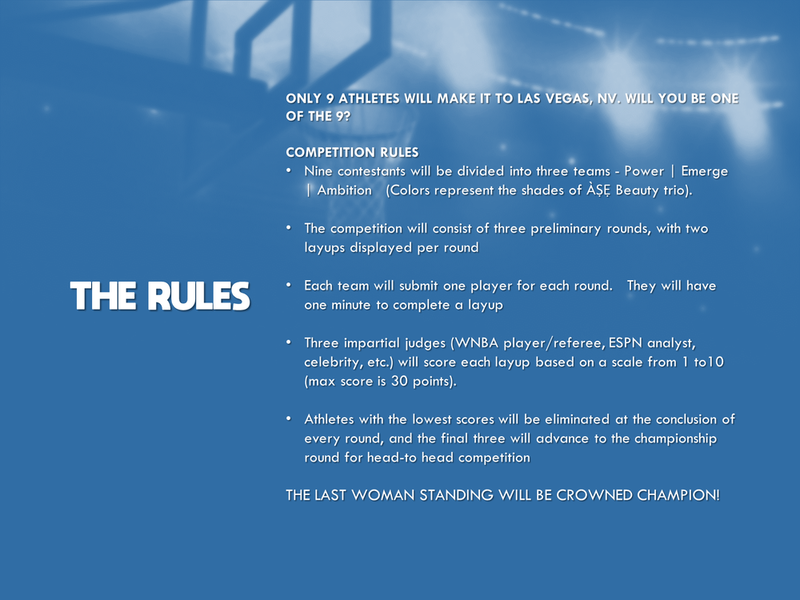 The contest will culminate with the top finalists competing during the 2019 WNBA All-Star Weekend in LAS VEGAS, NV, July 26, 2019, with a chance to win $5,000. Although the LNL Challenge is open to all women over the age of 18, our first 100 athletes have been vetted from women pro-leagues in NYC, Chicago, Los Angeles and Miami. In addition, athletes will participate from collegiate and professional women’s basketball leagues including the WNBA and NCAA, as well as other semi-pro leagues, such as, Basketball Beauties, Ladies Who Hoop and ASWBL. Our judges will review the video submissions and choose the nine finalists who will advance to the finals.